This warranty specifically applies to the AVANT 200 / 400 / 500 / 600 / 700 series loaders only and not to any attachments used with this product. For all Avant loaders starting from 2015 the warranty period is 3 years. 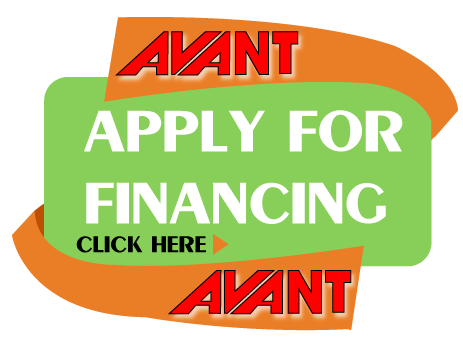 Any repairs or modifications performed without the prior authorization of AVANT Tecno Oy will cancel this warranty. The product has received regular maintenance in accordance with schedules given by the manufacturer and factory approved service centre. Any damage caused by operation in a negligent manner or exceeding the approved specifications detailed in this manual is excluded. AVANT Tecno Oy accepts no responsibility for interruption to working or any other consequential losses resulting from any failure of the product. Only AVANT Tecno Oy approved replacement or original quality parts shall be used during routine maintenance. Any damage caused by the use of incorrect fuel, lubricants, cooling liquid or cleaning solvents is excluded. The Avant Warranty excludes any consumable parts (e.g. tyres, batteries, filters, belts etc.) except where it can be clearly shown that these parts were defective on original supply. Any damage caused resulting from the use of attachments not approved for use with this product is excluded. Due to changes in the drive system the service interval is increased from 200 hours to 400 hours. The change applies to loaders in R- / 500-/ 600- / and 700- series. The service schedule will remain at 200 hours for the 200, 300 and 400 series loaders.